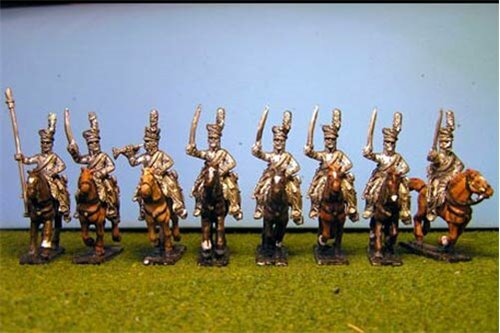 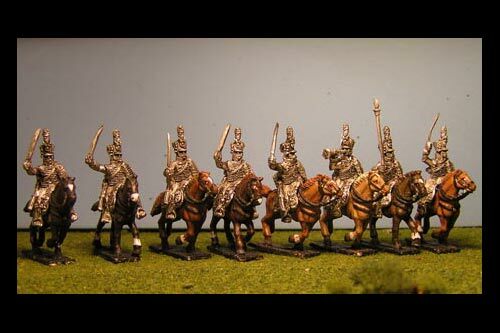 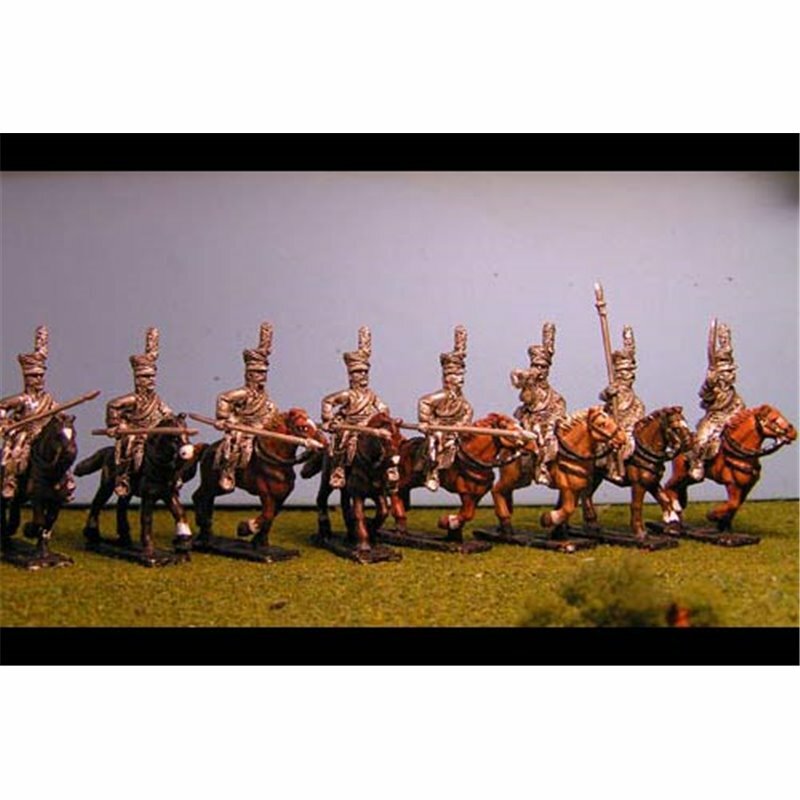 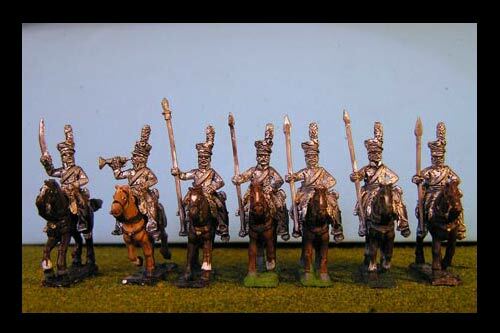 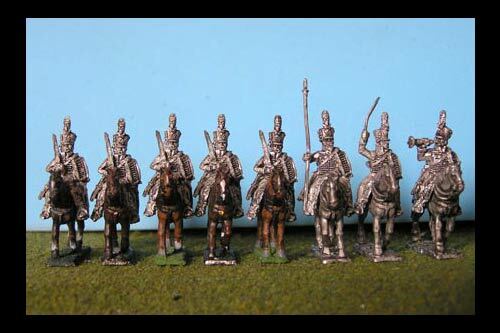 > Historical figures>CGM>Napoleonic 15mm>Austria>Battalion Packs>Cavalry>Uhlans Charging with Lance Down x 8 with Command (separate lances included in pack). 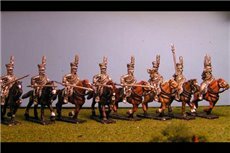 Uhlans Charging with Lance Down x 8 with Command (separate lances included in pack). 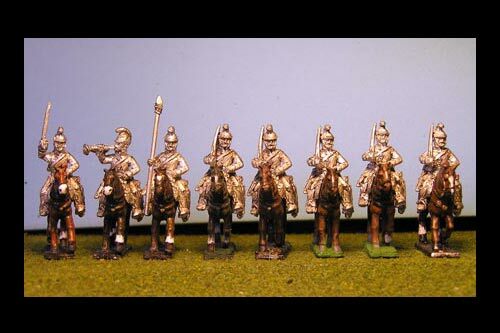 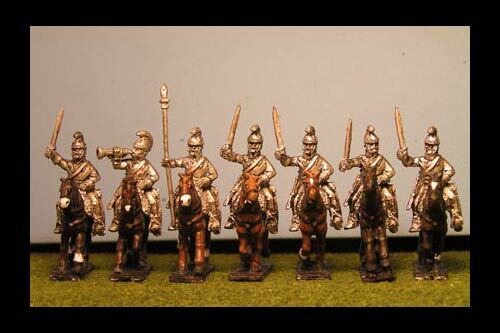 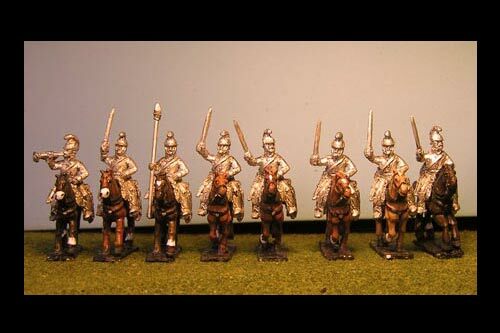 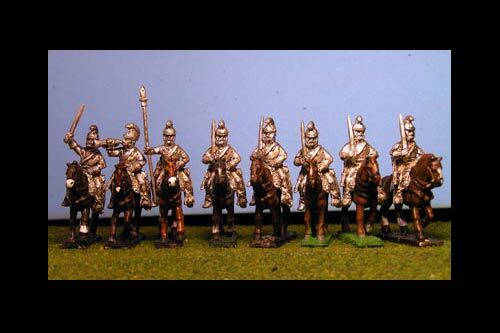 Pack contains: 1 Officer, 1 Trumpeter, 1 Standard Bearer, and 5 troopers + 8 horses. 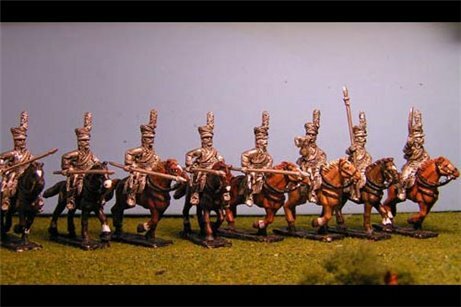 If you want a different combination write it in an e-mail.